25 hectares Syrah and 10 hectares Grenache. Bouchet for white and gris. This is the name by which the Franco-Moroccan partnership involving Gérard Depardieu is titled in Morocco. 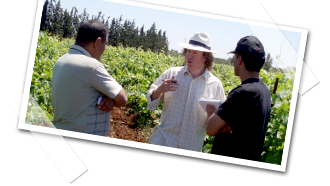 As well as the Moroccan landowners (who are renting the land from the King on a 60-year lease) and Gérard Depardieu, the partnership includes another French element and a highly influential one, that of the Bordeaux kingpin Bernard Magrez. 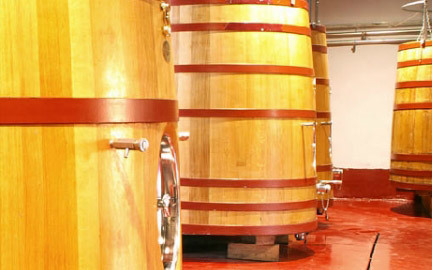 It is in no small part his experience and the resources of a wine empire numbering over 26 highly reputed properties worldwide that have allowed the estate to produce such a world-class wine in a short space of time. The estate has been lavished with all it needs, but above all it has a simplicity allowed by those who understand the environment and how to obtain the best from it: through non-intervention, allowing the wine its own expression. The estate in effect only creates one wine, a blend of Syrah with the addition of Grenache, all planted in the early nineties with the intention of releasing a wine in the mid 2000s once the vines reached adequate maturity. 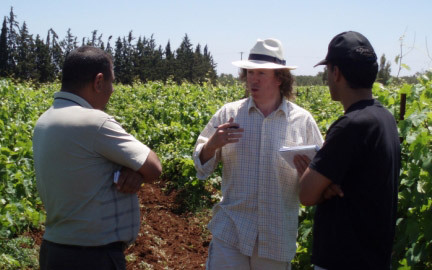 Bernard Magrez bottles the wine under Gérard Depardieu’s ‘Lumière’ label, as well as ‘Kahina’. There are new plantings for a white and gris, which have yet to reach maturity. Dark purple. Jammy nose. Intense black cherry, then plenty of spicy vanilla and roasted coffee from the oak. Big and brooding. Pleasing too. Powerful palate. Huge amounts of tannin – both oak and grape, yet very supple. Plenty of primary fruits underlying the oak influence: damson jelly, red plum, black cherry, hints of almond, then spices and a gunflint minerality. Excellent. Dark purple. A little dumber on the nose, hints of medicine through the cherry. Palate softer and fruitier. Sweeter. Fine tannins – lighter than Lot 3. Lighter spices, coriander over plummy fruits. Elegant. Very good. Dark purple. Dumb on the nose, brooding. Bigger palate than Lot 1. More viscous with large globs of tannins and glycerol. Aromatic characters similar to 3, though a little more muted. Very good. Rich cherry red. Raisin cake, dried fruit, candied peel and caramel and toffee. Lovely! Big chunky palate, spirity prune liqueur. Roship. Soft, fleshy and decadent. Deep red to purple. Soft, ripe and rich with plentiful aromatics. The best of all these wines. Plenty of varied and changing aromatics: a blend of black fruits, spices and fruit syrup. Rosehip and angelica on the finish. Persistent and powerful. Dark curranty purple centre, tawny edges. Big chocolaty nose, plenty of new wood mingling with damson jam and cinnamon spice. Chunky palate with bags of fleshy stone fruits and other primary fruit aromatics. Still fresh. Vanilla, violets and spice on the length. Deep cherry red, tawny. Dried, dusty cherry and strawberry on the nose, overlaid by spice and tinderwood. Rich hot palate. Big and grippy mouthfeel with plum jam, tar and spice aromatics. Not as elegant as Kahina. Now a touch too hot and a little past its best. Tasted one year on from the Graham Norton show, after the trip.